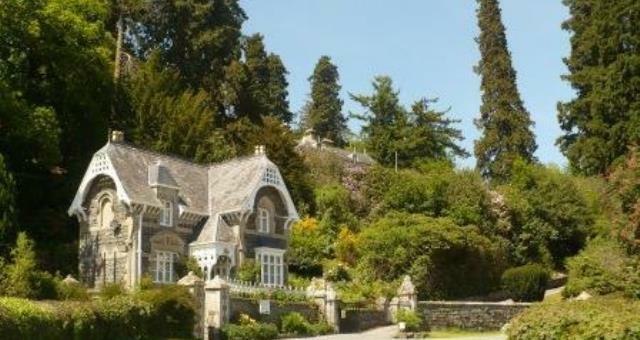 Broneirion Lodge is a beautiful Victorian 2 bedroom stone cottage set just above the River Severn and the village of Llandinam. Sleeping up to 6 it is ideal for families and couples. It is within easy walking distance of the village and country pub, nature reserve, the Severn Way and is a perfect base for exploring the attractions of Mid Wales, Snowdonia, the Brecon Beacons and the coast. Many activities are within a 10 mile radius Children welcome from any age. Broneirion is in Llandinam, which is between Newtown and Llanidloes, turn off the A470 road at the statue of David Davies of Llandinam. 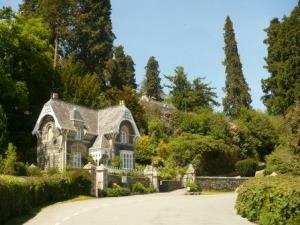 Proceed over the river bridge and along the road approximately 200 yards and the drive will be on your left adjacent to Broneirion Lodge. There is a weight restriction of 3 Tons on the bridge. Visitors travelling in vehicles over 3 Tons can use an alternative route as shown below.